so many of my clients are not on island so they can’t feel, touch or see my products that i offer in my portrait & wedding collections. i strongly suggest you order a collection with a print collection or album. you took this time to collect your family for a portrait and pulled off the most perfect dream of a wedding day so it’s my job to get those jpegs into something that you will treasure for a life time. we don’t want those jpegs sitting in your computer, we want them on your walls or physically in your hands. my print collections come with custom manufactured wooden boxes from my husbands woodshop, schmidt woodworks & design, here in lawai, kauai. so you are supporting my entire family when you choose to purchase a print collection. how cool is that!! boxes will vary from tropical native hard woods such as koa, milo, mango, monkey pod & locally reclaimed wood. my husband constructs each box with love, using only the finest grade materials from his woodshop. having my husband manufacture my keepsake print boxes helps keep my costs lower then buying them from someone off island & it allows for no wood in his woodshop to go to waste. 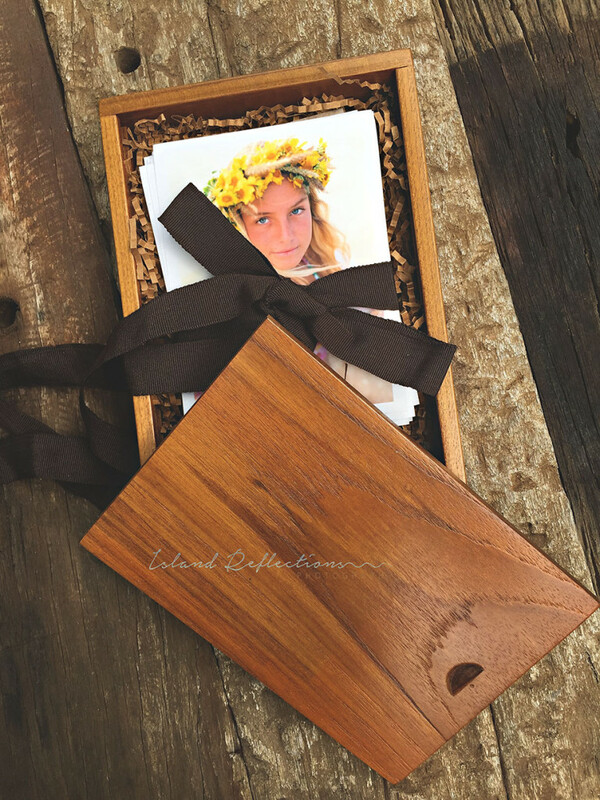 you are not only getting professional archival prints on beautiful thick rich papers that you can look at in your hands but you are also getting a beautiful keepsake box of aloha as an additional keepsake from the beautiful islands of hawaii. additional or specific custom keepsake boxes for albums or print collections are also available for an additional charge. 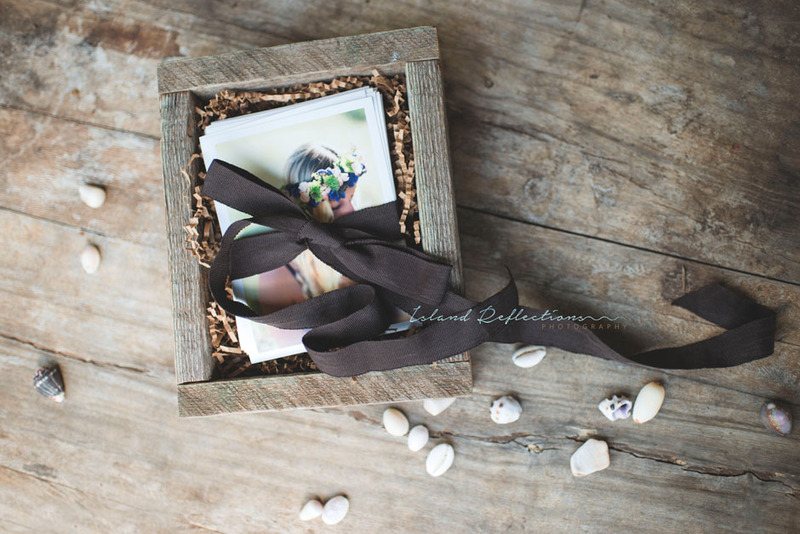 PINIMAGEprint collection shown in custom reclaimed wood from plantation home in koloa, hawaii. PINIMAGEprint collection shown here in custom teak keepsake box made by Schmidt Woodwork & Design. custom hard cover books are included in all wedding collections. our dvd’s are custom designed with your image from your family session or wedding. dvd cases are eco friendly made from 75% post consumer waste. this double pocket case comes with an eco friendly greeting card printed with soy inks designed & photographed by michelle with a special message for you. my signiture wedding albums are custom tailored to your desires. we offer many choices in designs from the color of leather, fabric or image for your cover. if you choose to not purchase a keepsake album in your collection you can always purchase for your one year anniversary or later down the road. as a young girl i loved curling up with my mom & looking at my parents album from their wedding day. 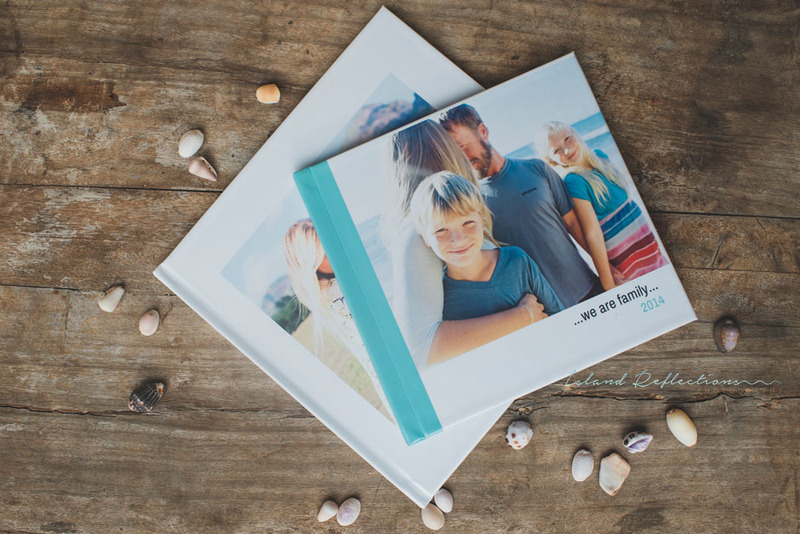 a beautiful archival keepsake wedding album is a special gift even for your children to look back upon for years to come.